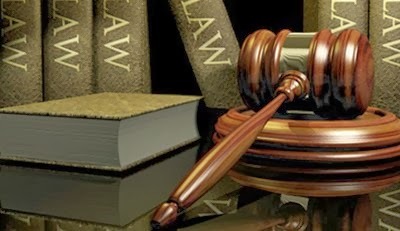 An Osogbo Magistrate Court has ordered six students of Osogbo High School, Osogbo to be remanded in prison custody over alleged illegal possession of arms. The accused persons were said to have involved themselves in unlawful activities with their co-students who are now at large on February 3rd, 2014 at about noon at Nigeria Police headquarters gate, Oke-fia, Osogbo. The accused students were alleged to have armed themselves with weapons such as axes and knives. The accused persons were identified as Agboola Afeez (19) Ajao Adeniyi (18) Lawal Ridwan, (20) Adesoye Afeez (18) Hammed Sodiq (18) Ife Akinwole (17) and others now at large. It would be recalled that at least two students of Osogbo high school were arrested by the Police over alleged involvement in cult activities two weeks ago. Also, some students of the school sustained serious injuries during a fracas which ensued among them and students of other secondary schools in the state capital. The presiding magistrate, Mr Olusola Aluko in his ruling turned down the oral application made by their counsel, Mr Taiwo Awokunle and ordered them to be remanded in Ilesa prison custody pending the time a formal application would be made by their counsel..